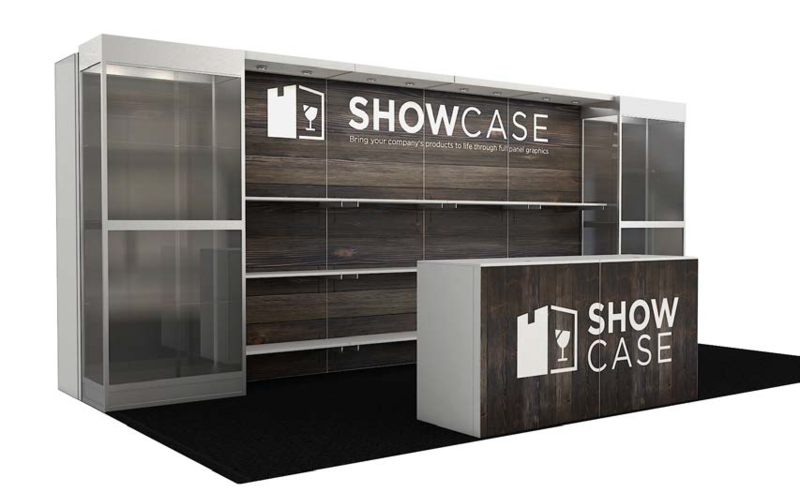 If your products could use long stretches of shelving and two distinctive glass display cases, this booth is for you. A reception counter enables close-up product discussions, as well as lockable storage below. There’s plenty of space on the panels for compelling visuals and messages about your products, brand, or company.